Micro cap stocks are publicly traded companies that have a market capitalization between $50M and $300M. It has nothing to do with the share price of the stock. For example, Sirius XM Holdings Inc., trades under $6 per share. However, the company has a market cap that exceeds $20B. On the other hand, Pendrell Corporation trades over $600 per share but is considered a micro cap because it’s under $300M in market cap. For the most part, micro cap stocks don’t get much attention from Wall Street analysts because they have little incentive to cover them. Analysts tend to cover stocks that their banks do business with or have the potential to in the future. That said, the catalysts that drive micro cap stocks are press releases, social media posts, newsletter services and blog posts. This information can come from questionable sources. It’s on you to do your homework and due diligence if you decide to trade micro cap stocks. Micro cap stocks are traded on the NYSE, AMEX, Nasdaq, and over-the-counter markets. Ideally, you want to stick with companies that offer the most transparency. Firms that regularly file with SEC, and post their latest news on its company website. However, there is enough reward to make it worthwhile. For example, the Dow Jones Select Micro-Cap Index has been on an impressive run over the last few years. Many micro cap’s are viewed as growth stocks. They will experience greater volatility than large caps for this reason. It’s the potential of future growth that drives investors into these companies. But your risk tolerance must be high enough to experience large price swings. Since trading micro caps is viewed as riskier than investing in large cap corporations, make sure you’re in the environment is right. For investor risk appetite to rise they must have confidence in the economy and the overall stock market as a whole. Pay attention to trends in the economy. Ask yourself, what sectors of the economy should see growth in the future. But be careful, some companies will attempt to ride the coattails of hot sectors. We’ve seen this in sectors like marijuana, blockchain, and artificial intelligence in the past. 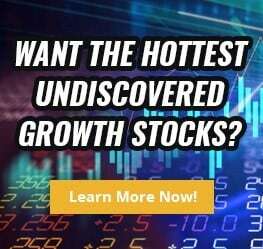 Start searching for stocks in growth sectors, finviz.com offers a great stock screener that you can use to filter by a number of categories that include market cap, shares outstanding, relative volume and a whole lot more. Micro cap stocks that tend to have explosive moves are ones that have a “low float.” This just means that the number of outstanding shares is relatively small, typically anything less than 10M shares is a good place to start. After developing a list of stocks you’ll then want to investigate further. You can do this by visiting the company website and reading up on SEC files. A good website to use for reading up on SEC files is BamSEC.com. The website breaks down filings by: financials, news, prospectus, proxies, ownership and other. The 10-K file will give you financial information of the company. As well as, its operating activities, investing activities, risk factors and overall business description. You’ll also want to pay attention to press release services because this how a lot of micro cap stocks disseminate their news. Some good ones to follow include: PR Web, PR Newswire, BusinessWire, Marketwired, Cision, Globe Newswire, and eReleases. When it’s all said and done, there is a tremendous amount of money that can be made from trading micro cap stocks. However, you’ll have to roll up your sleeves and do your own research.